FAN FILM FACTOR finally features a FACEBOOK page! When I first started up FAN FILM FACTOR, I didn’t really feel the need to have a Facebook or Twitter or Instagram (or whatever else) presence online. Simply organizing a blog site, writing articles and interviews, and answering comments is more than enough work, thank you very much! At a Christmas party last Saturday night, I was chatting with a friend and playfully “bragging” about how my blog was now getting 500-3,000 views a day (sometimes more). I put “bragging” in quotation marks because now that I’ve got ads up, I’m raking in the big bucks to the tune of $1-$2 per day! Laundry money…yay! My friend said, “You can do better…” and proceeded to give me a long list of stuff to do to bring in more traffic. Step 1: Facebook ads. Oh, well, there goes the laundry money! But hey, worth a try for a week or two maybe? You can’t set up a Facebook ad without having a Facebook page for the thing you’re advertising! Obviously, I’ll populate the Facebook page with links to my blogs here on Fan Film Factor. But what else? I have no idea. In fact, if any of you reading this would like to help me out, I’d welcome it. When it comes to social media, I’m still mostly clueless. But I’m eager to learn! So, yeah, if anyone out there has any ideas or wants to assist in getting the word out about Fan Film Factor, please shoot me a quick note via my “Contact Us” page. 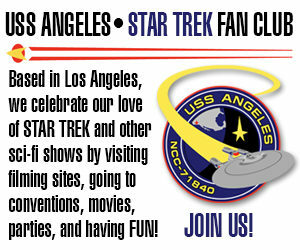 I really would like to spread the word about Star Trek fan films to a wider audience (and get my laundry money back!). And I’d love to have some help or even just some good advice. I’m still playing with the ad column, seeing what works and what doesn’t. On most of my longer blog entries, the ads stop long before one reaches the bottom of the page. But on short blogs like this one, the ads scroll down far below the text. Unfortunately, this WordPress template doesn’t allow me to adjust the number of ads based on the page length. I can’t promise you enough laundry money for an 18-wheeler to deliver goods to you house, but maybe I can help you afford a capful of bleach or 4 dryer sheets. There’s several fun things you could do. Since your site (and the Facebook page for it) is about groups that make fan films, you could spend a good deal of time focusing on those groups. Perhaps use some of the material you compiled from your fan film document to make posts spotlighting different fan film groups. With over 100 fan film groups, you could spotlight one group every three or so days, allowing you to cover the entire breadth of the fan film fandom during a calendar year (repeating each year to re-spotlight each group). For example, on a “Spotlight Day” you could make one post giving some information/history about the group, linking to their website or YouTube page. Another post that day could be some screencaps of their film(s) or behind the scenes stuff. Another post could be some factoids about how their film(s) fits into the Star Trek universe: when it happens, what Universe/timeline it’s in, what crew/ship(s) do they focus on, etc. Another post could provide a link to the websites belonging to members of the cast or crew (if they have them), or their IMDb pages, Facebook Fan pages, Twitter pages, Instagram, etc. On days you don’t spotlight fan film groups, you could have “Star Trek Mythology Day” or “Canon Day” to delve into the mythos. I know I often catch myself spending lots of time chasing rabbits down holes (“Shore Leave” references included) on the Star Trek wikis at both Memory Alpha and Memory Beta. Doing fun canon (and non-canon) trivia posts would be fun, as well as picking certain days to highlight the various ships of the line, important Star Trek novels video games, board games, star charts, adversaries and species, etc. You could also pick another day for Star Trek history posts. Something like “On This Day in Star Trek” such as such episode first aired, or such an such script was written, or a certain actor/writer was born or died, etc. It might also fit here to include any articles out in the “real world” about Star Trek. It’s well known how often engineers and other scientists cite Star Trek as an inspiration for the work they do. The Army is developing a “phaser” weapon to destroy drones. Often tech news sites reference Star Trek when new technologies are invented or new software/AI is released, and astronomy/physics sites will sometimes release newly found data about the real star systems upon which Federation member planets are based. Often there’s a movement in IAU polls to name new dwarf planets or celestial objects after Star Trek locations. On other days you could do a “Fandom Highlight” by posting photos of the various cons you’ve attended, posting links to upcoming events in the fandom, posting links to other Star Trek Facebook Fan pages/groups, posts of fan’s artwork or links to fanfiction, etc. You could do an “In the Family” day by posting screencaps or links to the Twitter/Instagram posts of people like William Shatner, Patrick Stewart, George Takei, etc., or point out when cast or crew members from Star Trek are involved in some new film or TV series (even if it isn’t Star Trek). It wouldn’t have to be new either I suppose, as Michael Dorn, Robert Picardo, Connor Trinneer, etc., have all been in many other science fiction movies (sometimes in the SyFy disaster/monster of the week variety). And lastly, when (if?!?) Star Trek: Discovery finally comes out, you could do reviews after each episode, as well as posting bits of information about how any given episode connects on or expands existing canon. But you may not have time for any of that. With a new Facebook Page and FFF, you may be fighting a two-front war against expletive-laden posts! Ya think? You’ve listed a TON of really great ideas there, Dexter. I wish I had a family of elf cobblers who could work through the night on such an awesome FB page. I’m afraid my version of the Fan Film Factor FB page is destined to be MUCH less impressive. Liked and I will pass the word. I know you’re still busy covering Axanar but when you have a chance could you post your History of Fan Films please ? Previous Previous post: STARFLEET STUDIOS cancels THE TNG PROJECT but revs up for VOYAGER CONTINUES! Next Next post: LEGAL REPLIES filed by both sides in the AXANAR LAWSUIT!